A Grandmother and the Peacock. This post is dedicated to my grandmother who left this world back in 2013, her smile and knowledge is missed to this day. I have always admired my grandmother who raised 3 children on her own after losing her husband back in 1963. A strong, intelligent woman who pushed through thick and thin with her head held high. Her knowledge and support throughout my childhood will remain part of me until the end of time. It was a beautiful winter day, cold, but not too cold, and the sun was shining bright causing a vivid blue sky. Dan was by my side as we made our way down to Lamberton, in the southwestern portion of Minnesota. A drive that I had not made since my grandmother moved closer to my mother in early 2003. We stopped in New Ulm, and toured the August Schell Brewing Company, a place full of history and beautiful old buildings; I would imagine that we will head back that way in the near future. We were surprised to see peacocks roaming the grounds and managed to photograph them. I have always been drawn to the jewel toned colors that these amazing birds display. Only after working through this album, and researching this magnificent bird, did I learn of the symbolism it represents. I was shocked to find that in many cultures, this bird has played a significant role. I found this symbolism fitting not only for the situation, but also as a reminder of who my grandmother was. In Christianity, the peacock represents resurrection, renewal, and immortality within its teachings. In Buddhism they symbolize wisdom. In Hinduism, the peacock is associated with Lakshmi who represents patience, kindness, and luck. The peacock has been linked to Kuan Yin and it is this deity that is supposedly the creator of the beautiful colors of the peacock’s signature tail feathers. The myth tells us Kuan Yin could have been immortal but stayed because she wished to aid humanity in their spiritual evolution. Kuan Yin taught people, through her own compassionate spirit, to lie together as friends. When she decided to go to the heavens, she appointed a guardian to keep the earth peaceful. She called a bird, with dull brown feathers to her. She rubbed her face and brushed her hands down the length of its feathers, which created a kaleidoscope of colors and beautiful eyes on the end of each long feather. Therefore, the Peacock’s feathers remind us that Kuan Yin is compassionately watching over us. I would like to thank my husband, Dan, for standing by my side. For the support (and the Kleenex) you gave me each time I needed it… I love you dearly. Esther Marie (Lee) Redman was born on August 15, 1917 in Emmet County, Iowa. She was the daughter of George and Dena Lee. She graduated from Sanborn High School in 1937. 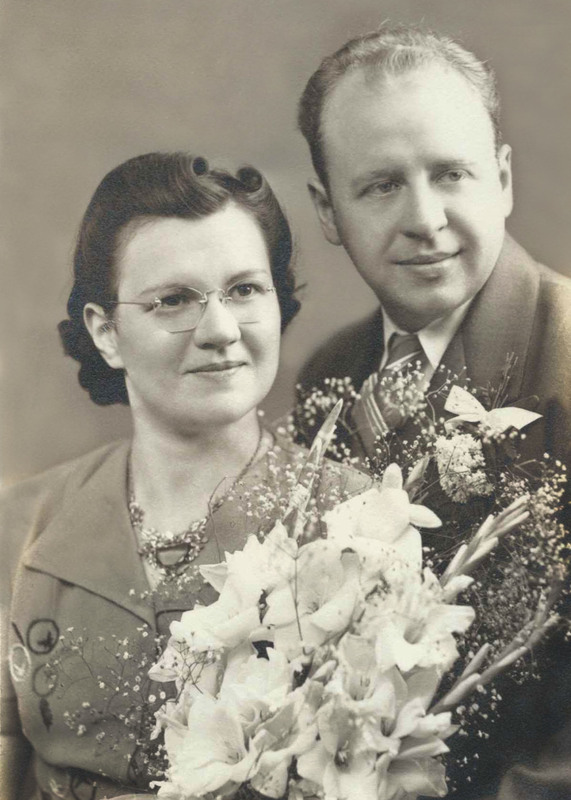 She was united in marriage to Willis G. Redman on July 25, 1942 in Sanborn, MN. Esther attended and graduated from Mankato State University with a Bachelors of Science Degree in Elementary Education. She taught in one room country schools until 1960 when she began teaching in Lamberton and was employed there until her retirement in 1980. She was a member of the United Methodist Church in Lamberton, MN. Esther died on Wednesday, January 2, 2013 at Farmstead (Presbyterian Homes) in Andover, MN at the age of 95 years. We miss you and know you are there still watching over us. Please enjoy the images from that trip.